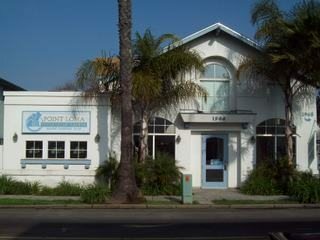 Point Loma Veterinary Clinic, 1964 Sunset Cliffs Blvd. Chuck posted his “fighting” mad post on his facebook page, and since he is a “friend” of the OB Rag, it appeared on our facebook wall. Chuck's cat Franklin during happier times. In my observation, this doctor merely squeezed us in and exploited our situation, simply to squeeze a few more bucks out of someone. ….yeah… fighting pissed. Fortunately, I was able to get the Sunset Cliffs Animal Hospital veterinary clinic around the corner to see him immediately. Within 5 minutes, three vets looked him over good and in 20 minutes we knew the problem, established a plan and got my boy some some meds. Further they stayed an hour past closing time to see us. As of now he’s still in a bad place, but we have a plan to make him healthy again shortly. My first response when I read this was “much to do about nothing,” but then I checked out a couple of business review websites, and discovered Schiele’s rant about this particular veterinary clinic resonated on these sites. Dr. Cardeiro is the vet at the clinic located at 1964 Sunset Cliffs Boulevard. And if you go to “yelp” or “insiderpages“, you’ll find plenty of reviews – good and bad. At insiderpages, there were 13 reviews, fairly split between good and bad assessments (7 positive vs 6 negative). It was the common theme among the negatives that caught my eye: overly concerned about money – customers were pushed to get extra vaccines or have dental work on their pets, or were pushed to spend more on their little loved ones. Dr. Cardeiro wanted to perform expensive lab testing, when I only wanted my pet treated for the immediate needs. When I heard the reasoning and costs for these tests – I declined them. Then, surprisingly, she told her Assistant to tell me she would report me to the Humane Society if I don’t proceed with her lab testing recommendations! This was all about money. My pet was not in a severe situation. I wonder how many people she has threatened like this, attempting to extract additional fees. She talked so much I could barely get in a word or question. I’ve lived in Ocean Beach for 22 years and I will never be back to her office again, nor would I recommend her to anyone in this area. WAIT WAIT WAIT, if you go here bring a 400 page book with you and you might get half way through the book before the doctor sees your pet, the place was empty and i only seen one other employee in the place and still waited for an hour before my sick dog was seen… do not recommend to anyone! Well, I thought, these reviews were definitely split. I checked out yelp and found eight out of eight reviews all in the negative column. (Truthfully, one of these was the same person from the other review page.) Again, the same complaints, even though staff was helpful and friendly, the vet herself seemed only to care about how much money was to be spent. The final straw came soon after, when I heard that vaccination recommendations for cats had changed and that annual vaccinations stress cats’ immune systems. I found the AAFP (American Association of Feline Practitioners) recommendations and, to my dismay, not only had this vet continued to recommend annual vaccinations contrary to AAFP standards, but she had been pushing vaccines that are not generally recommended (and at least one my new vet called useless). Unfortunately, I too have to give a low grading for this place. … When we walked in, the two employees were very uninterested, and didn’t seem to actually care that we were there. They immediately put us in a room and closed the door, told us to wait for the doctor. There was no air conditioning, and it got VERY hot, fast. Not only that, we also waited a total of 35 minutes in that creepy little room. Once the vet finally showed up, she was kind, but vague. At one point she got frustrated because our kitten was purring so much, she couldn’t hear his heartbeat properly. It was kind of.. Strange. Finally we got the meds we needed for the little guy (he had an eye infection), but before leaving, the doctor and the other two employees tried selling off some products we really didn’t need. Overall, it was just a bad experience. … If you love your pet, and want the best case.. Don’t go here. Not until a lot changes. So, between these two sites, there were 13 negative reviews out of 20, a 65% bad rating. Obviously, some people who take their pets to it, like this clinic and have good things to say. What is important here, however, is the high negative rating. One could argue that only people with complaints go to these business rating sites – which may be true – but the fact is that people do go to these sites and for this clinic, at least, two-thirds do not recommend it. Winner of the 2007 Readers’ Choice Awards (selected by the readers of the Peninsula Beacon) as their favorite pet hospital. We take pride in our reputation for good quality services at affordable prices. We have a cheerful, courteous and pet-loving staff. We understand that your pets are not only companions but are members of your family. We provide thorough evaluations of your pets; offer practical health care advice; perform a variety of medical and surgical procedures. Dr. Cardeiro is a U.C. Davis trained veterinarian. She has been serving the Point Loma and Ocean Beach areas since 1983. Clients frequently comment on how well-behaved and less nervous their pets are when Dr. Cardeiro examines them compared to other hospital settings; we feel that they can sense her gentleness and compassion. Our #1 goal is to provide your pets with superb health care so that they may live longer, healthier and more comfortable lives. Thank you to everyone who supports and recommends us. What do you think? Is this much ado about nutin’ or ….? If we can review pizza, beer, hot dog carts, we can review pet vets, doncha think? I care more about my pet(s) than I will ever care about pizza, beer or hotdogs, so please do continue to post this sort of article. I don’t know about this vet, but have been very happy with Sunset Cliffs Animal Hospital over the years. 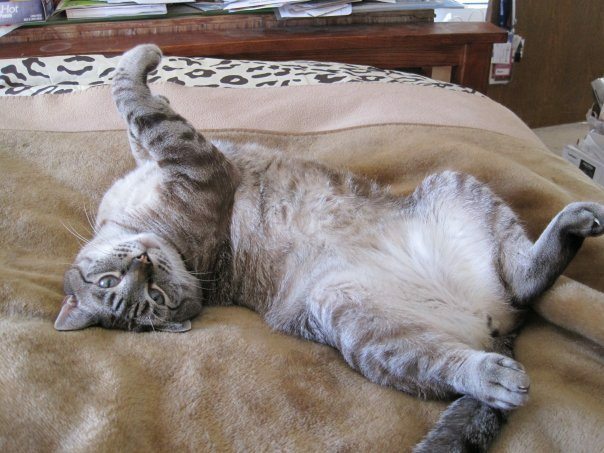 During the pet food epidemic several years ago we took out severely ill cat (appeared near death) to Sunset Cliffs Animal Hospital when it was still located on Point Loma. Initially we took her to the VCA Emergency Animal Hospital in Mission Valley, but they wanted to charge us $2000. We then decided to take her to Sunset Cliffs Animal Hospital. They took such great care of her, were reasonably priced $900, and the vet even took her home over the weekend and personally cared for her, Hydration IV all weekend, blood work, blockage cleared, X-rays, etc. Since then she has been doing great and is now 11yrs old. We can’t thank them enough! I can’t speak for the place mentioned in this article, but we will forever take our animals to the Sunset Cliffs Animal Hospital! So…you first took your pet to Sunset Cliffs Animal Hospital; then decided to take it to Sunset Cliffs Animal Hospital ….. Did you mean Point Loma Vet for the first one? Point Loma Veterinary Clinic orders lots of extra tests that are not needed (blood, stool, and urine for a laceration on the paw?) and the wait time is horrible. I felt like I was nickled and dimed both times I took my pets there. I hope this Vet will respond to the article and postings. This may be a great opportunity for this clinic to address their mission, attitude to clients, policy on waiting times, capabilities, professionalism and disclosure of charges before a service is rendered. I took my kitty in and they tried to get ME to take a blood test…greedy ba$tards !! As the case with any buisness they will survive or fail based on results…If word spreads in the community as to bad pratice they will suffer. At least this is my opinion. I’ve never been there even though I live practically right next door, I take my cats to the VCA Peninsula Animal Hospital up Voltaire (I used to live up the hill) and they’re great. One of the most questionable surgical procedures is the housectomy. A little house had to be surgically removed from Ocean Beach for that Vet business to be built. I don’t know who lived there, but I think they were plant lovers. It was one of those Chia Pet sort of houses . They probably weren’t too happy about leaving. Snip…snip…snip…another housectomy in Ocean Beach. Did the patient benefit from the operation? Has the community of Ocean Beach ever benefited from one our many housectomies? Please cite an example, and explain your logic. I completely agree with most of these comments. The last time I took my cat there I not only had to wait like an hour to be seen but then was told I had to get all of these procedures done and walked out paying a ridiculous amount of money for a yearly visit. I have heard wonderful things about Sunset Cliffs Animal Hospital and now I think I will surely be moving over there. Thank you for posting this. i took my dog to point loma vet about 3 years ago and had a bad visit along with a long wait and and they didn’t seem to know what to do next . so i went to sunset cliffs which was on point loma blvd then and that place is great . i really mean that the whole staff there is great and they care about the animals. Sunset Cliffs Animal Hospital is where I will be taking my dog for her annual shots. The owners are also the two main vets (so they are not 3rd party like a VCA) and they care about helping the economically challenged to decide what is necessary and offering other options for those whom find price is no option with pet care. I had a roommate who used Sunset Cliffs and she showed me her bills for her dogs arthritis meds and noticed right away that the cost was excessively inflated. This is just my opinion, but when you come into the same job, don’t take long vacations once a year and do the same routine day in and day out (for the most part), you can start to become “stale” in your job. I have a friend who is a UCDavis Vet School Grad who had to stop doing vet work when she noticed she was adopting a “bag it and tag it” attitude to pets who passed on her table. She is now an accountant. Without a doubt, UCD Vet School grads are top notch veterinarians. But fellow UCD Vet School grad Dr Cardeiro needs to address the accusations of her previous clients, and if the accusations are true, focus on how to bring HEART back into her clinic over GREED. This was the worst vet experience I have ever had. I have no confidence in her knowledge and am only sorry that i wasted my time and money, and my puppy’s health to see her. DON’T GO TO THIS VET!!!!!!!!!!!!!!!! !